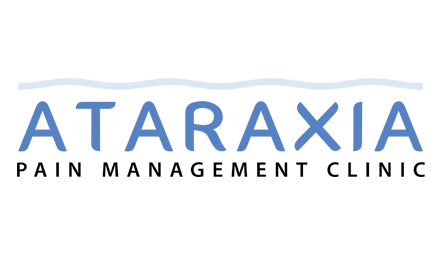 At Ataraxia we offer solutions to help people manage their pain and improve their quality of life. We provide a comprehensive chronic pain assessment and then use a multi faceted treatment plan to restore your optimal functionality. We are dedicated in providing the highest quality of care to every patient and want you to leave our clinic with a new instilled confidence, to be empowered to take control of your nervous system. We want to make sure you’re on the path of freedom from pain and the distress that comes with it. At Ataraxia Pain Management Clinic we treat a wide variety of pain conditions. All treatments are intended to leave you with an encouraged reassurance and trust in your approach moving forward. We want to help and get to the bottom of your pain condition, by understanding what brought about your pain and working with you to provide you effective pain education and a comprehensive treatment so that you can live the quality of life you deserve. We understand pain and how the complex nervous system functions. We are able to alter your nervous system to inhibit pain, by employing both pain education and treatment procedures. Our procedures and treatments rely mostly on injections to reduce pain. What we are primarily doing is interacting with the nervous system so that we can alleviate habituated nervous system patterns that cause pain and tension. Our job is to calm the nervous system so that we can bring it closer to equilibrium (balance). We provide treatments and procedures to alleviate pain while providing pain education so that you can move without fear.